Raja Di Raja malayalam movie to be directed by Ajay Vasudev will have Mammootty and Raai Laxmi in lead. Scripted by Siby K. Thomas and Udayakrishna, the movie would be a full length entertainer creamed with humour at its best. 'Raja Di Raja' is being produced by M A Nazar under the banner of Good Line. Karthik Raja with set the tunes for the movie which would reach theatres as an Onam feast. Even though none of his recent ventures could create magic in the box office, mega star Mammootty producers should have to wait for yet another year to get his date. Totally jam packed with a handful of projects, the next in line for the actor would be debutante Ajay Vasudev's directorial debut. Titled 'Raja Di Raja', the movie is scripted by hit makers Siby K. Thomas –Udayakrishna duo. Raai Laxmi( Lakshmi Raai) who play the role of his lady love. Mukesh Khanna, Rahul Deve, Joju, Siddique, Joy Mathew, Bheeman Reghu, Babu Namboothiri and Nelson will give life to other prominent characters in the movie. 'Raja Di Raja' will kick start on 9th June at Comibatore and Pazhani Highway. The other locations are Pollachi, Hyderabad and Mumbai. Produced by M A Nazar under Good Line banner, the movie is blessed with the presence of Karthik Raja would set the mesmerizing tunes. The camera is being helmed by Shaji. Touted as a family entertainer, Ajay plans to release the movie on 5th September 2014 very near to Mammootty's birthday which falls on 7th September. With an experience of working behind the screen with filmmakers Shafi, Johny Antony and Vysakh, Ajay is exited in venturing his first movie. Raai Laxmi, the svelte beauty who pairs with Mamootty will don the role of a homely character, a brave and a bold woman by nature. In certain sequences, she would dominate over the character played by Mammootty. The second half will be totally engaging with lot of suspense. The actress was happy to don the role as the content was very strong. The onscreen chemistry of Mammootty and Raai Laxmi worked well in movies like Annan Thambi and Chattambi Nadu while both gained huge success in the box office. 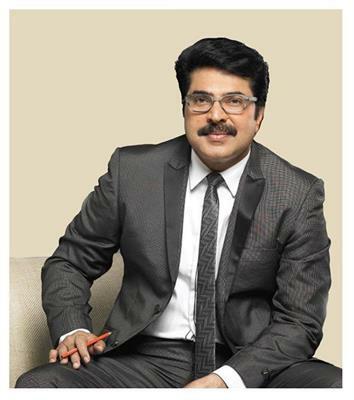 As Mammootty has wrapped up the shooting of 'Manglish', he would join the sets of 'Raja Di Raja' which already has gained a huge buzz among the online movie goers.